Whether you’re based in a single city, or multiple locations nationwide, you need a suite of options that can flex to meet your changing needs. From traditional copayment plans to consumer-directed health plans, choose a solution that fits the needs of your business. Large Business is 100+ employees. 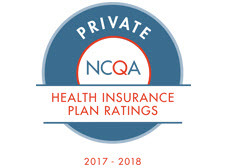 NCQA’s Private Health Insurance Plan Ratings 2017–2018, National Committee for Quality Assurance, 2017: Kaiser Foundation Health Plan of Colorado — HMO (rated 4 out of 5); Kaiser Foundation Health Plan of Georgia, Inc. — HMO (rated 4 out of 5); Kaiser Foundation Health Plan, Inc., of Hawaii — HMO (rated 4.5 out of 5); Kaiser Foundation Health Plan of the Mid-Atlantic States, Inc. — HMO (rated 4.5 out of 5); Kaiser Foundation Health Plan, Inc., of Northern California — HMO (rated 5 out of 5); Kaiser Foundation Health Plan of the Northwest — HMO (rated 4.5 out of 5); Kaiser Foundation Health Plan of Washington — HMO (rated 4 out of 5); Kaiser Foundation Health Plan, Inc., of Southern California — HMO (rated 4.5 out of 5). Medicare evaluates plans based on a 5-star rating system. Star ratings are calculated each year and may change from one year to the next. In California, Kaiser Permanente is an HMO plan and a Cost plan with a Medicare contract. In Hawaii, Oregon, Washington, Colorado, and Georgia, Kaiser Permanente is an HMO plan with a Medicare contract. In Virginia, Maryland, and the District of Columbia, Kaiser Permanente is a Cost plan with a Medicare contract. Enrollment in Kaiser Permanente depends on contract renewal. Centers for Medicare & Medicaid Services Health Plan Management System, Plan Ratings 2012–2017. Kaiser Permanente contract #s H0524, H0630, H1230, H2150, H9003, and H1170.